Before we get to the breathing tips and techniques, I first want to focus on why we should focus on our breathing. Breathing technique is not something that I particularly stress over as a runner but there are some definite benefits to breathing "correctly" and effectively. So, Why Focus on Breathing? Keeps you from feeling out of breath. It's not good if you feel like you can't quite catch your breath. Hopefully you can change this by employing one of the following stride rate breathing patterns and the following breathing tips! Bringing in more oxygen into your body will ultimately help you to stay in your aerobic zone. When you are performing long distance runs such as half and full marathons you want to at the very least be able to finish your race. If you are breathing too fast or breathing too shallow you can cause your body to overwork, enter the anaerobic zone which will then decrease your endurance ability, and increase your time to fatigue and increase muscle soreness. Breathing improperly will cause your heart rate to increase and your intensity level. Breathing properly reduces the stress placed on your body and keeps you more relaxed and calm. Focusing on exhaling properly (releasing most of your carbon dioxide) will increase your running economy and release tension throughout your body. 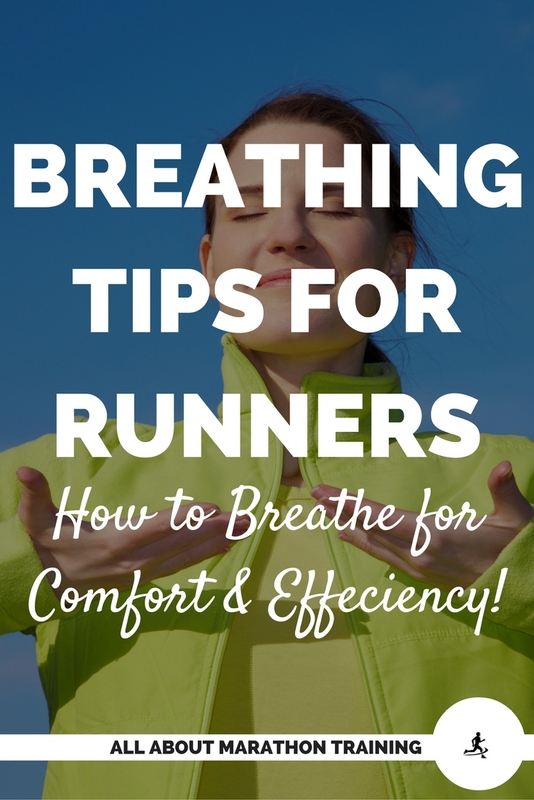 Breathing properly will help to keep you on goal pace and allow you to run more comfortable, successful races. How is breathing technique developed? Most coaches will look at how much air you move in and out of your lungs. Tidal Volume (size of breath) x frequency = How much air you move in and out of your lungs. These two factors (tidal volume and frequency) are inversely related meaning that if you breathe too fast you thereby increase the frequency of your breaths and will reduce how much air you can actually take in. If you slow your breaths down you can increase the amount of air that your body can take in. However, you can slow your breathing rate down too much. 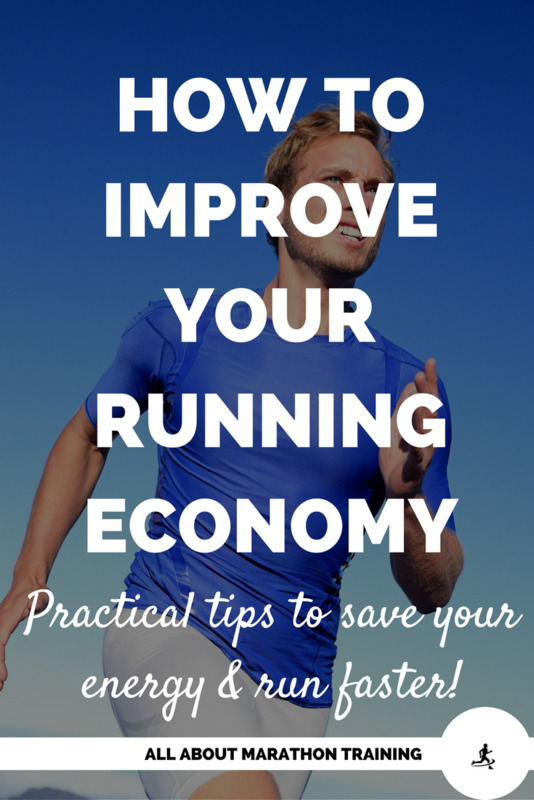 Therefore, knowing when to use what breathing technique will help you to maximize your running economy and stay on pace. Your pace can really help to determine your breathing pattern. 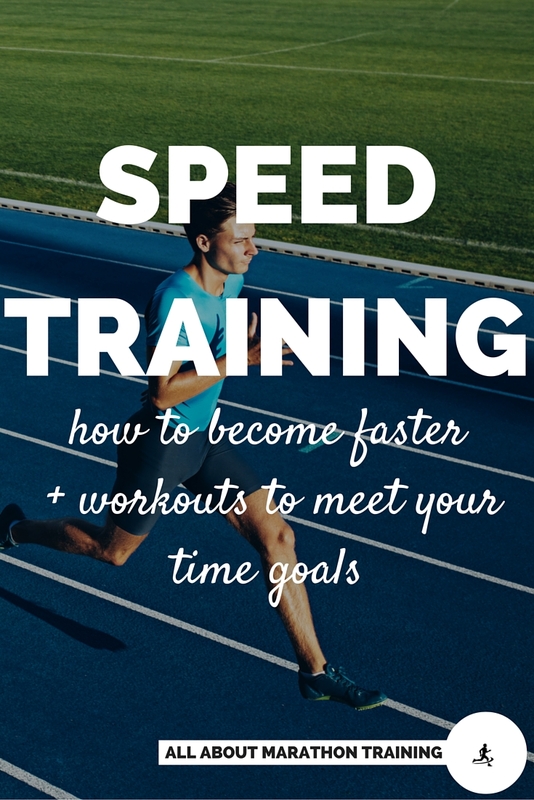 The faster you run the more breaths you will have to take in to sustain that pace. As a runner, the best breathing pattern for the most effective oxygen uptake is to take 2 steps for each breath in and 2 steps for each breath out. This can be signified as a 2-2 breathing pattern. However depending on your speed and intensity this breathing pattern will change. For speedwork, hill training, tempo runs etc: use a 2-2 (2 steps breathe in, 2 steps breathe out) breathing pattern. You may also find that using a 1-2 or 2-1 breathing pattern to be more effective or natural for you when you increase your speed or intensity. At this breathing rate you will find it difficult to carry on a conversation if you can even do so. For marathons, long runs, easy runs, and recovery runs: use a 3-3 breathing pattern. Keeping your breathing rate down will help you to stay in that aerobic zone, increase your endurance capacity and push back fatigue. At this breathing rate you should be able to carry on a conversation comfortably. 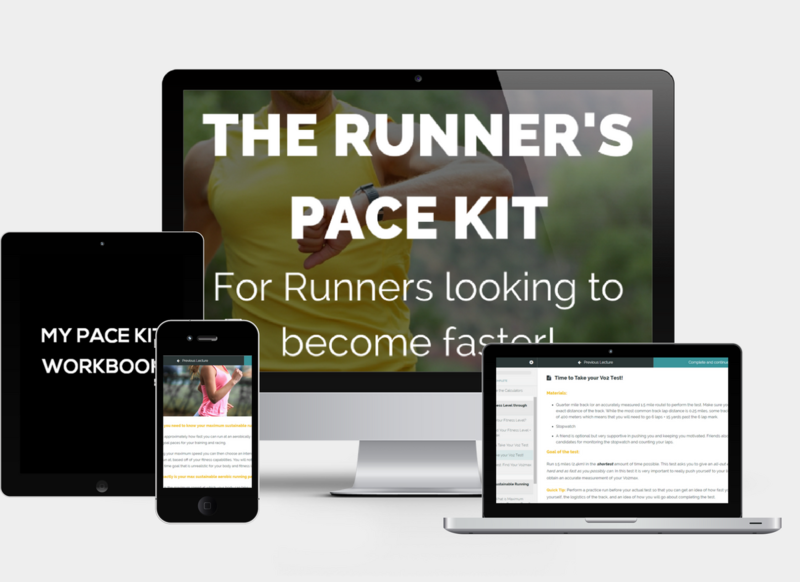 Want to know the exact paces personalized for YOU through a fitness test to meet time goals and run faster? The number one of all the breathing tips is to remember is to breathe DEEPLY - focus on breathing through your belly and not through your chest. When you are running, notice if your chest is rising and falling. It shouldn't be! If you are slouching and not running tall you are more likely to be chest breathing. So do a posture check every once in awhile. It is most natural for us to breathe in through our nose and out through nose with our tongue resting on the roof of our mouth slightly behind our teeth. However, you can find that it becomes tiring to just keep track of your breathing intake or even to breathe in and out in a certain pattern for so long especially when running the marathon distance. Switch it up between breathing in through your nose, out through your mouth, or in and out from your mouth. When you are running in cold weather it is best to always breathe in through your nose to warm the air before it hits your lungs. Breathing in through your mouth will cause that soreness in your throat area since you are breathing in cold air, sometimes even sub-freezing air! Focus on exhaling to make sure you are getting all of your carbon dioxide (CO2) out. This will really require you to breathe in and out through your belly but it will increase your running economy! Exhaling your CO2 out becomes even more important when you are running at faster speeds or doing hill or speed training. Keep your upper body straight and tall. Make sure to keep your shoulders back and not rounded. Look out straight in front of you. Notice when you are looking downwards you tend to automatically round your shoulders. Keep your chest LIFTED. Think tall! Keep your neck long and don't keep your chin to your chest. Wear a proper sports bra if you are a woman. See the importance and bra shopping advice here. 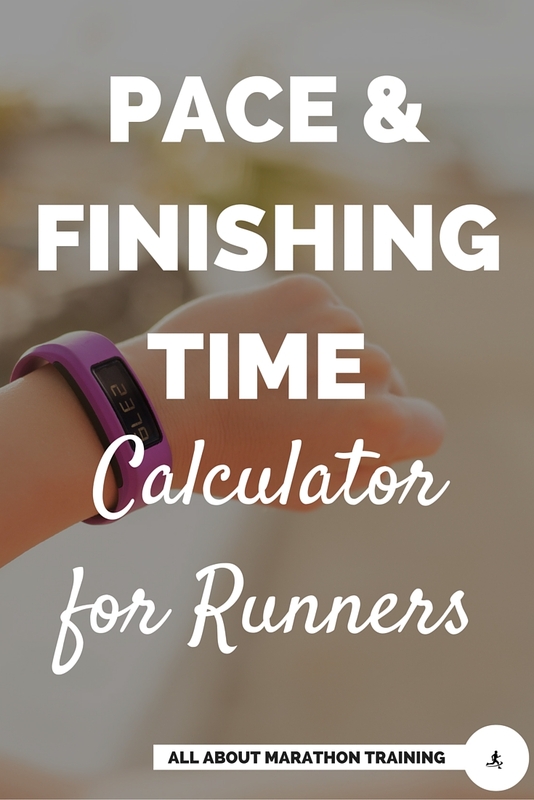 Pace Calculator - Find out your predicted finishing pace and your goal and split times! How to Breathe While Running: Running Tips and Breathing Technique to Run Faster. Vo2maxProductions, 26 Feb. 2014. Web. 24 Oct. 2016. Optimal Breathing. Perf. Jack Daniels. The Run SMART Project. The Run SMART Project, 22 Jan. 2013. Web. 24 Oct. 2016. Running Technique - Breathing Part 1: How to Run without Losing Your Breath. Perf. Will Wragg. Running Injury Free Revolution. N.p., 13 Aug. 2013. Web. 24 Oct. 2016.